Hey my lovely divas! How are you? Are you enjoying the beautiful weather? I’m always here to inspire you and awaken your creativity. 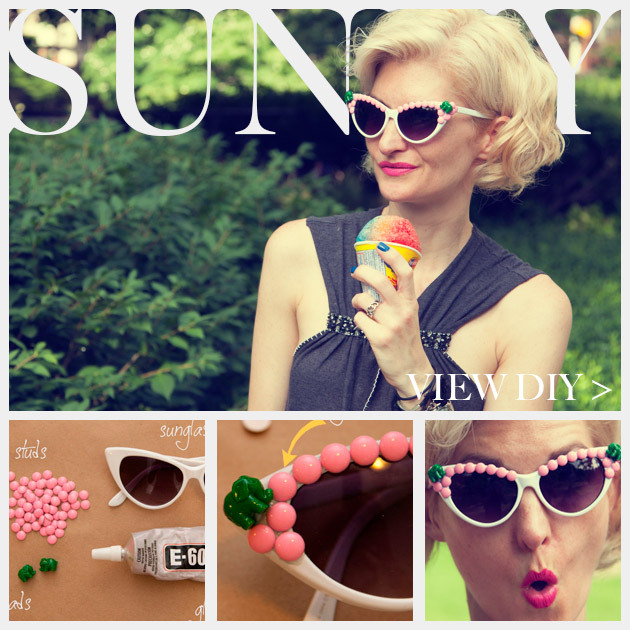 So, for today, I have a very interesting post that is called “Top 10 DIY Sunglasses to Create This Spring”. Are you excited? Sunglasses are a must-have accessory for the warm seasons. So, why to spend a fortune on a new brand glasses, when you can give a new look to your old pair in just a few minutes. You will only need glitters, nail polishes, gem stones or some small accessories that can be attached to the glasses. Sounds great right? 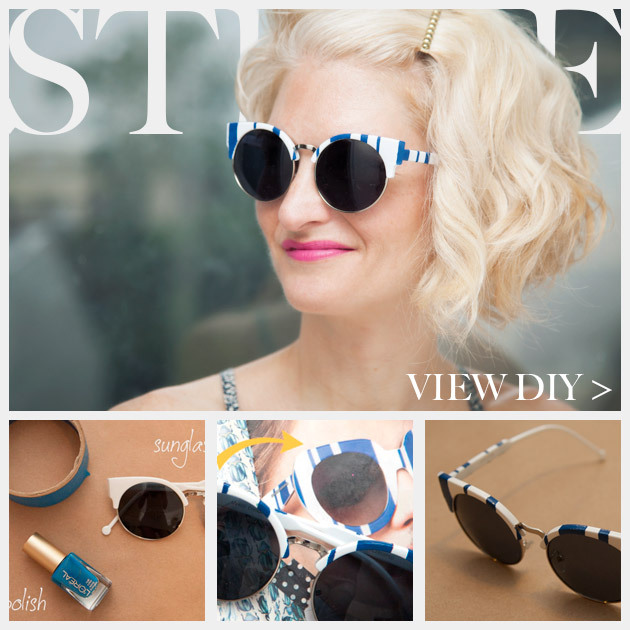 Let’s take a look at these diy sunglasses that I have selected for you and draw some inspiration. You may find your next diy project here and you will improve your diy skills and techniques, and make your old sunglasses look like they are new. Enjoy and have fun! Very unique and chic idea – perfect for the sunny days. Stripes are very in this season. I have found a striped sunglasses that will blow your mind. For this project you will need nail polishes and tape. 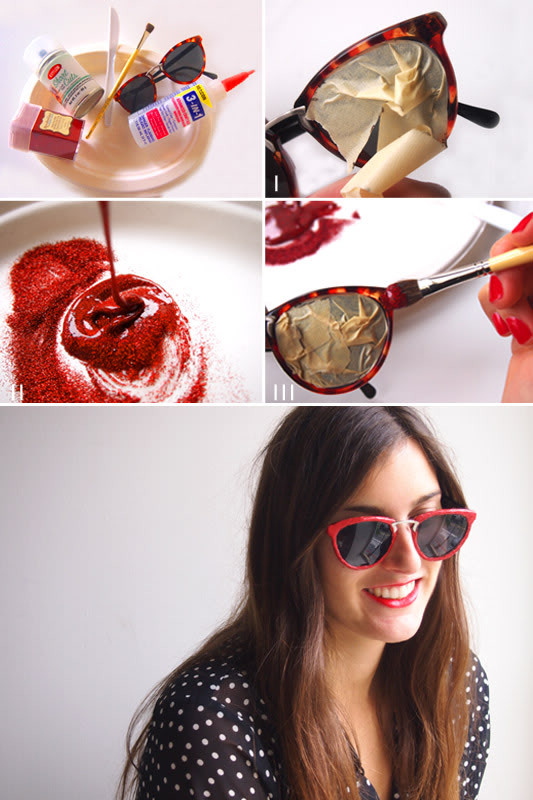 Two-toned sunglasses are also cool and you can make them in just a few minutes with two contrast colors of nail polishes. 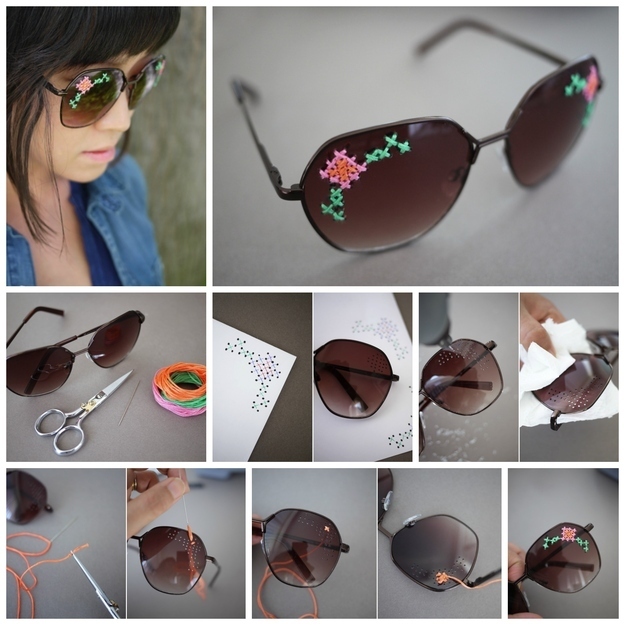 The diy sunglasses with glitters are my favorite, because they are very easy and quick for making. The idea below is super cool and is very unique and chic. You need to choose some colorful ropes for more interesting look. If you like to make your round sunglasses look super funny, lovely and cute, then go with a donut look. If your glasses are yellow you can add yellow flowers. 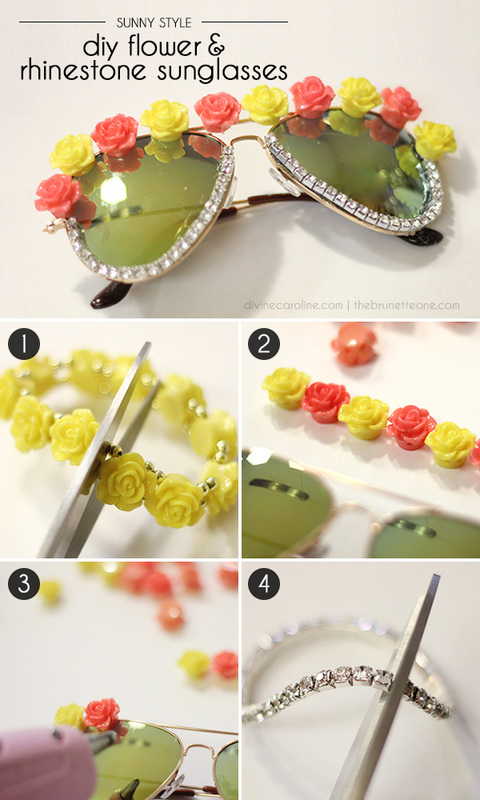 You can make your sunglasses eye-catching by adding red and yellow flowers on the top and rihinestones on the bottom. 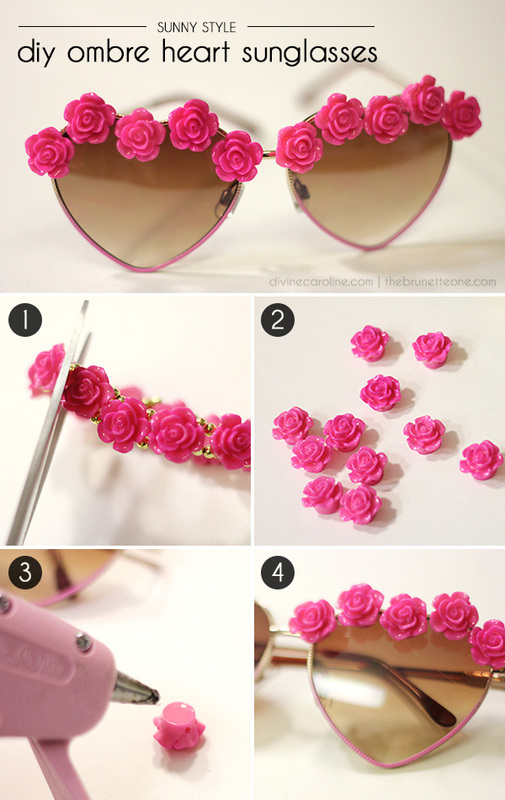 For more girly look, add small pink flowers on the top of the sunglasses and paint the sunglasses with brighter color on the bottom. For more interesting look, you can use different size and shade of flowers. So, my dear ladies, what do you think about these projects? Do you find them interesting and fun? Do you like them? Would you dare to beautify your old sunglasses this season? I would love to know your opinion, so feel free to share it below. If you have already embellished your glasses, please share some photos with me. I would love to see everything you have to show me. Thank you for reading! Enjoy in the rest of your day! 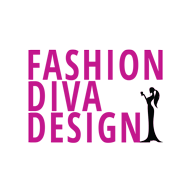 Don’t forget to stay up to date with the content of Fashion Diva Design!